WALKING DISTANCE FROM SM HYPERMARKET FORMERLY MAKRO EDSA CUBAO...NEAR CHURCH, CAMP CRAME & CAMP AGUINALDO..
You searched for 6th avenue and this page shows the full details of this accommodation to let. 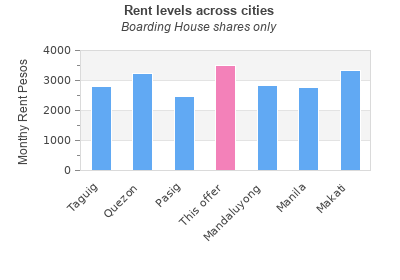 This Boarding House is located in Cubao in Quezon. This property has bedrooms, bathrooms and the rent is PHP 3500 monthly. This accommodation for rent was last updated on 2011-03-15 14:02:32. The classified has been displayed 5283 only today. 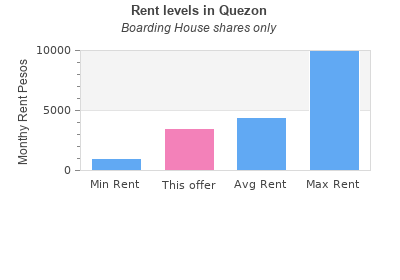 You can see other lettings in Quezon.